Klein Tools presents two of their most advanced testers ever manufactured – the MM5000 and the MM6000. Check out all their features in this video. For a lot of us in the trade, our testers work just fine and we would never want to give ours up. But for those of you looking to upgrade and get the latest and greatest technology, the Klein Tools MM6000 tester is the tool for you. I love it because it has a max-min button that others don’t – great for testing motors. It’s got low impedance to test for ghost voltage, a function that is missing on other testers. It’s got a durable case that can withstand a drop from high up, and a Klein Tools thermal coupler that also has a max-min button too. 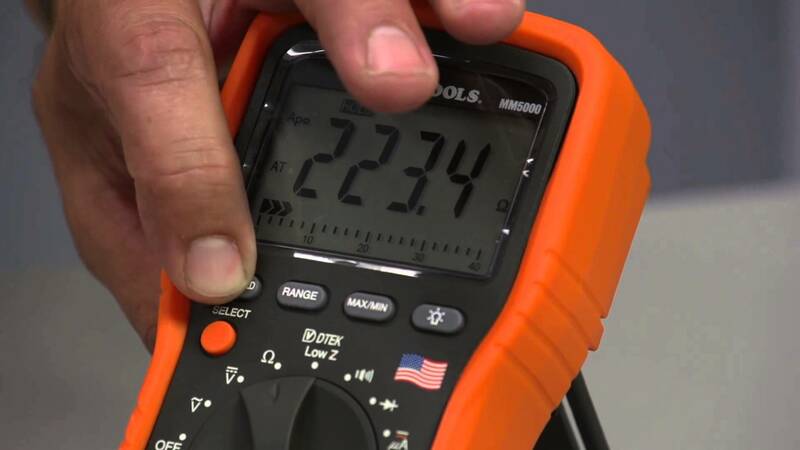 You can’t forget that it doesn’t only measure voltage, but current as well. I just got mine and it’s a heck of a machine. If you get a chance to try it, I’m sure you’ll agree.